A Daedalic adventure based on Ken Follett's Kingsbridge novel of the same name. 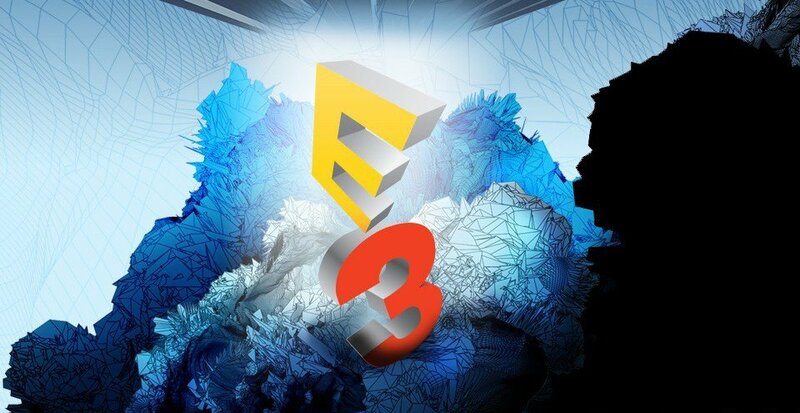 E3 is a bombastic event that’s difficult to accurately put into words. Between the rows upon rows of game stations, elaborate eye-catching set pieces, and costumed heroes and villains at every turn vying for your attention, it’s an incredible experience that is worth braving the Los Angeles crowds and downtown traffic to attend. But for journalists it’s not all fun and games – well, actually, that’s exactly what it is. Still, it’s nice to duck away from the bustling show floor and visit the more private demonstration rooms. One of my favorite destinations each year is swinging by the Daedalic booth to talk shop and play their latest offerings. The German developer/publisher always has several promising works in the pipeline, and whatever is on display is sure to be a cause for excitement. 2017 was no exception, so in the first of our two-part round-up from E3 this year, here’s a look at what’s in store for adventure gamers. 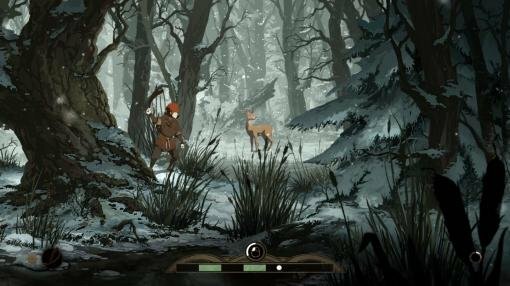 Turning Ken Follett’s well-known historical novel The Pillars of the Earth into an interactive graphic adventure is no small feat. With a tale that spans about fifty years, featuring several major characters whose stories are constantly weaving in and out, and to then expand player agency to actually control the outcome of certain events from the book, makes it all the more challenging. Daedalic have had a team hard at work at doing just that, and I had the chance to sit down with none other than one of the game’s writers, Kevin Mentz, as he laid out the details for me. The game is set in and around the fictional town of Kingsbridge, England, during the 12th century. With source material of over 1,000 pages, the game has been split into three episodes, which will release separately. In this first episode, covering chapters 1-7, players take control of three of the book’s main characters: Jack Jackson, who is a still a young boy during these early chapters; Philip, a monk of Kingsbridge; and the noblewoman Lady Aliena, with the game handing off the reins from one character to the next at predetermined points. Kevin describes the novel as “the spine”, with events of the game loosely woven around it to create an intriguing narrative all its own. Though it is scaling back some of the more adult content in the book, there will still be violence and mature situations in the game. As a whole, it focuses on characters, relationships, and politics, but will not include any puzzles, combat, or the like. Instead, there are moments built in where decisions must be made or actions successfully completed that have lasting consequences, both big and small. An early scene I was shown featured the young Jack, a boy living in exile in the forest. Having to depend on the hunt to obtain food, Jack attempts to take down a deer using a sling. An on-screen meter appears, requiring a timed button press as the indicator hits the right spot to succeed. If Jack kills the deer, he will need to deal with curing the meat in the next scene; if he fails, he goes hungry. This is an example, albeit a small one, of the extent of action players can expect to deal with, which is to say not much. The game prides itself on delivering a straightforward narrative, without other things detracting from it. One thing that was immediately apparent as we started up Jack’s scene in the forest is the care that has gone into the game’s artwork. A gorgeous, vibrantly colorful hand-drawn 2D scene spills across the screen, consisting of multiple fore- and background layers to create a pseudo-3D look. The attention to detail didn’t change when we switched over to a later scene in Kingsbridge, featuring the monk Philip. Rather than a peaceful, snowy forest scene, I observed a lush medieval town courtyard filled with throngs of people. The characters can be controlled in classic point-and-click fashion, or organically with a controller, with interaction icons popping up contextually when the current protagonist is near a hotspot in the environment. The game is fully voiced, and will feature both English and German voice tracks, with subtitles in a wide variety of languages available. Mentz concluded our demo with an estimate of each episode being approximately six hours long, but reminded me of the lack of puzzles or other things that pad out other games, pulling players away from the ongoing narrative. The first episode of The Pillars of the Earth is planned for release on August 15th, and will be available on PlayStation 4, Xbox One, Windows, Mac, and Linux. An accident. A burning building. Pain. Night. Darkness. Then, a hospital. These are the opening notes of State of Mind. Coming from the mind of Martin Ganteföhr, fans of his previous game The Moment of Silence may have an idea or two what they’re in for. The game deals heavily with the ethical implications of transhumanism, the idea that humanity can evolve through the aid of science and technology. It’s been a year since I last saw State of Mind in action, and this time around, Daedalic’s Lisa Mallory was there to guide me through the first twenty minutes or so of gameplay. Richard Nolan has just awoken from an accident, only to discover he’s experiencing some memory loss. Navigating through the clinic, answering a doctor’s probing questions functions as a sort of tutorial to the game’s controls, and provides some basic information on Richard’s life. He’s a husband and father and works as a reporter for a publication called The Voice. State of Mind’s third-person gameplay functions well with a controller’s dual thumbsticks for character and camera movement, respectively, with a context-sensitive control scheme: walk up to something, press a button to interact with it. It’s not your usual point-and-click adventure, but a fully-realized 3D world that presents the player with choices that have lasting consequences. Case in point: After Richard leaves the clinic and returns home, he finds it devoid of human life; both his wife and his son have disappeared. Waiting for him instead is Simon, a household bot, and we quickly learn that Richard does not have a soft spot for him or, for that matter, most other technology. Given several dialog choices, you can choose to get downright ill-tempered with poor Simon, to the point that it’s possible to kick him out of the house. However, as Lisa explained, if he’s shown the door now, he will not be around to help Richard in his investigation later on. That investigation is what much of the game revolves around. Richard wants to discover where his wife and son are, and learn more about the mysterious accident he experienced. 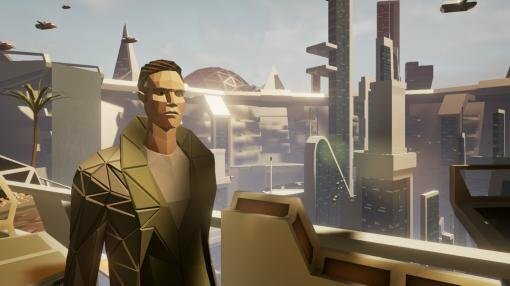 State of Mind will focus less on puzzles and inventory use and more on detective work. For Richard, that means collecting evidence, following up on leads, talking with others, and using his laptop to research and write stories and news articles, tying in with his job as reporter. But as so often happens, not everything is as it appears. What starts as a simple missing persons investigation turns into something much more sinister the deeper Richard digs. While I’m still playing, Richard receives a call on his home’s holographic vidphone. The life-size hologram of his mistress materializes; it seems Richard isn’t exactly squeaky clean either. There’s a lot of attention being paid to making the characters flawed, human. The story’s scope even encompasses at least two other playable characters, with control switching between them at predetermined points. 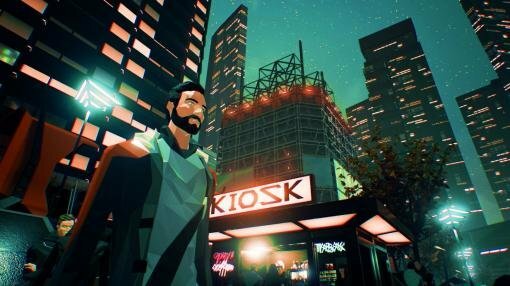 A big component of the game’s design are the dual settings dubbed Dystopia and Utopia, the former being the city of Berlin in the year 2048 that Richard lives in, and the latter the completely virtual City 5, which stands in stark contrast to the dingy, corrupted real world. Uploading one’s consciousness into the virtual realm creates a walking, talking, “living” incarnation of oneself, one who isn’t even aware that it is, in fact, an artificial being. This opens up a treasure trove of narrative possibilities, especially since Richard’s consciousness has itself been uploaded, creating the character of Adam. Just how Adam figures into the story is one of the mysteries left for players to discover. Daedalic currently has their sights set on a release in the first quarter of 2018. The initial round of releases will be for Windows, Mac, and Linux, with later focus on PS4, Xbox One, and possibly Nintendo Switch. any news on The Devil´s Men? it has completely disappeared from my radar and it looked like a very nice game. I still have the book with the art of the game from 2015! Daedalic has indicated 2018 (at least) for Devil’s Men.